Snipe fly (Rhagio immaculatus) on a leaf. 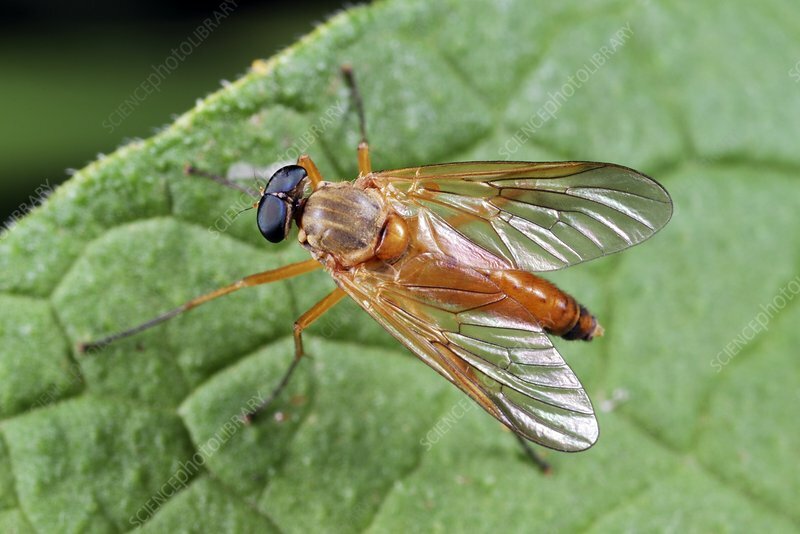 Snipe flies are medium or large flies that prey on other insects with their piercing mouthparts. Photographed in Poland.